Actually, I think I said the same thing this time last year, but every year it gets better and better. 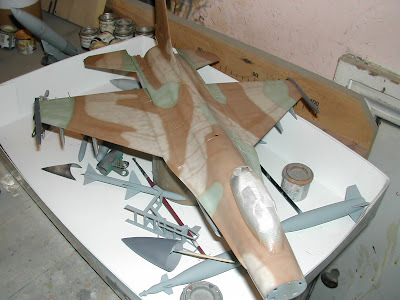 Lately I mentioned about the Hasegawa F16 in 1/32 scale. This has come on in leaps and bounds - check the photo. It's going to be a stunner, a very imposing model, full of fuel tanks and and with a striking colour scheme. Next up will be a very unusual subject - a what-if from the post-WW II era. This is a 1/700 scale waterline kit of HMS Invincible, classed as a fast battleship. However, Britain signed the Washington Treaty and the Invincible became HMS Rodney. 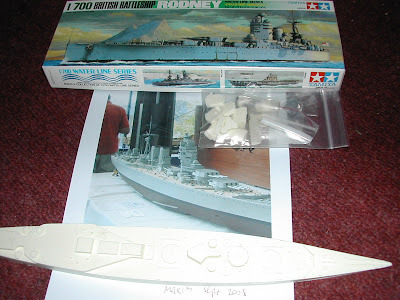 In fact I'll be using some parts from the Tamiya Rodney to complete this resin kit. It promises to be quite a challenge. Lastly, for now, is this old favourite. 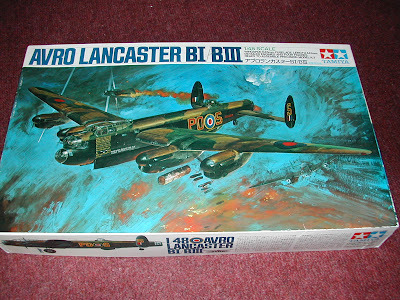 The Tamiya Lanc has been around since Adam were a lad, but it is till a terrific kit. 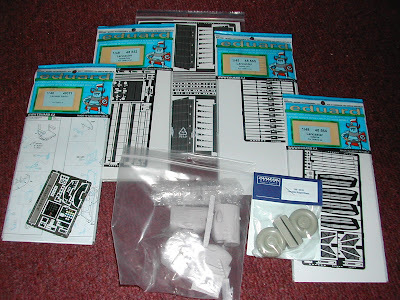 This build will include the full Eduard Big Ed set, a set of Belcher resin engine cowlings , a set of bulged resin wheels and a set of Techmod decals. I'll be starting on this in a few weeks, so stand by for a mega build. I have plenty of other big projects on the go for later this year. I'm normally a builder of static models, but I do occasionally do some special work with dioramas which feature light-and-sound - details of this on here later in the year.